In sports betting terms, odds basically serve two purposes. First, they are used to calculate the payouts of winning wagers. 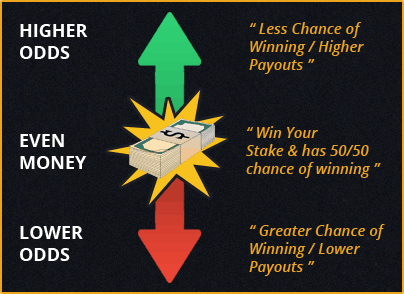 Every time you place a bet with a bookmaker, you'll be offered odds at the time, which impact how much you can win. The higher they are, the more you stand to win relative to your stake. Imagine a tennis match where the player ranked number one in the world is pitted against the player ranked 137th. It stands to reason that the best player in the world is going to be considered more likely to win than his opponent. Therefore, a wager on his winning would have very low odds; a wager on his opponent winning would have much higher odds. This is a somewhat simplified explanation, but it gives a general idea of the role of odds in sports betting. 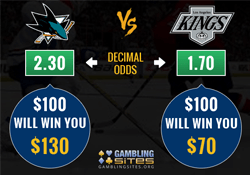 If you ever want to convert odds from one format to another, there are some reasonably straightforward calculations you can do. 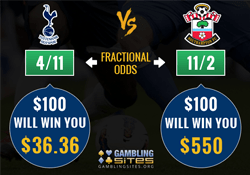 We can save you the bother, however, as we offer a useful tool which will automatically convert any odds from one format to another. You can find this tool on the following page. 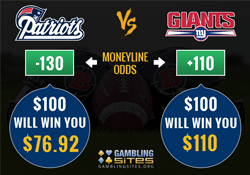 For a lot of wagers on sporting events, you'll see that different bookmakers offer different odds. For example, one might have a football team at +130 to win a match, while another might have the same team to win the same match at +120. To explain this, we expand on a statement made earlier. When we said that odds reflect the likelihood of a particular outcome happening, it would have been more accurate to say that they reflect how likely a particular outcome will happen in the view of the bookmaker. Predicting how likely any outcome is in a sporting event isn't an exact science, and it essentially comes down to a matter of opinion. This is why the odds in sports betting are variable, because not all bookmakers will have exactly the same view on how likely a particular outcome is. Odds can also be affected by other factors, such as the amount of money a bookmaker has taken on a particular market. What this means is that the odds that a bookmaker sets for a wager aren't always an accurate reflection of the true likelihood of the relevant outcome happening. Therefore, it's possible to put the odds in your favor when betting on sports. If you're able to correctly predict the outcome of sporting events often enough, you can consistently turn a profit. It's not easy, but if you can combine your sports knowledge with an understanding of certain key aspects of betting, it can definitely be done. Odds are one of those key aspects, and you hopefully now understand how they work and why they vary. You should also understand why the use of odds is the main reason why bookmakers make money, which we explain in the next article.